The Serengeti is famous for its endless plains, the rich game life and multiple lodges that offer you a pleasant stay and a good time. A few of these places stand out from the rest and &Beyond Klein’s Camp is certainly one of them. 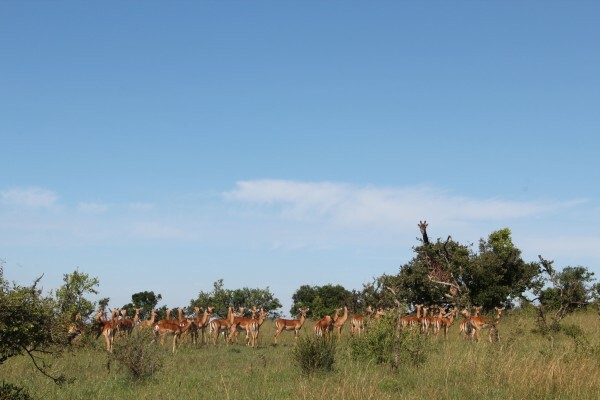 Located just north of the Serengeti National Park it lies close to the border of Kenya and offers its guests a unique experience in a secluded spot where you won’t meet other tourists on game drives. 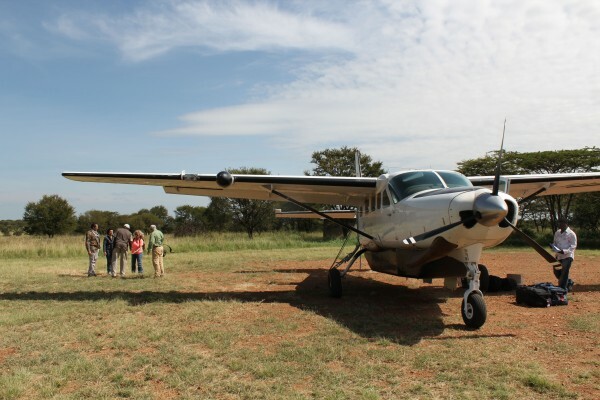 I arrived on a flight from Arusha operated by Tanganyika Flying Company. The pilot brought me safely to the Lobo airstrip, a dusty landing field in the middle of nowhere, and told me that I was in for a treat. At this point I was buzzing with excitement. Getting off the plane I was greeted by my ranger for the stay, Patita, a tall man with a broad smile. He escorted me to an open jeep, threw my bag in the back and off we went. 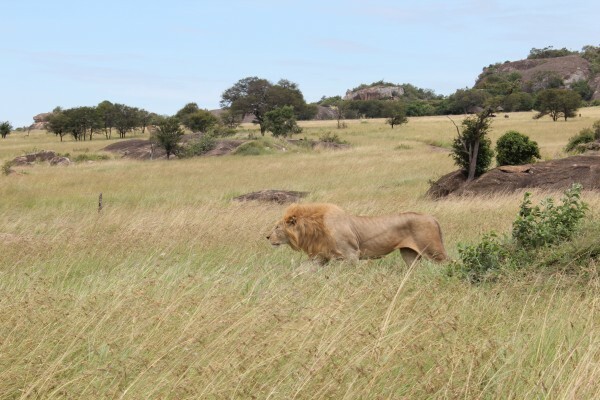 On the rocky drive uphill to the camp we spotted a male lion that let us watch him for a while. Then he wandered off in search of female companionship – according to Patita. Setting off again we saw a warthog, several giraffes and a solitary buffalo bull. The landscape took my breath away with its beautiful hills and rocky slopes. 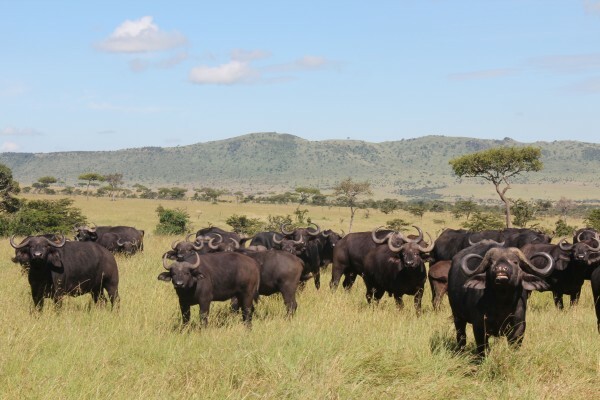 It’s a unique piece of land that &Beyond leases from the Maasai who inhabit the surrounding area with their cattle. Arriving at the camp I was met by staff members who asked if I was ready to see my cottage. I certainly was. I was excited to see my home for the next couple of days. Luckily, I wasn’t disappointed and even before going inside I was stunned. The view from the terrace was incredible. Green hills lay stretched out in front of me and on the other side of the Grumeti River I could see the Maasai with their grazing cattle. Their bells sounded in the wind. I was awe-struck and it was hard to take my eyes of the scenery, but I had to as I was shown inside the cozy thatched stone cottage. 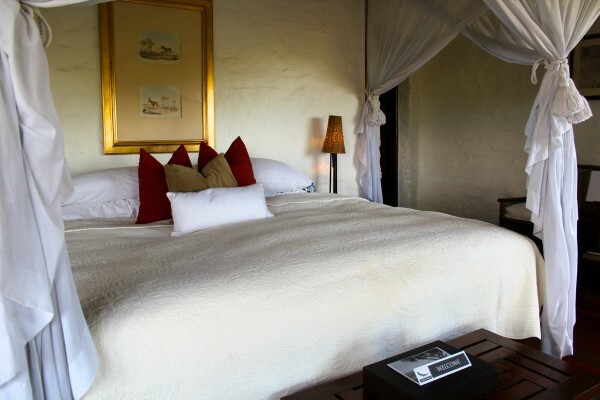 Beautiful dark wooden floors, an expansive bed and Maasai artwork invited me in and I felt very much at home. But there was no time to linger. I was told to head for the bar where Patita was waiting for me and a few other guests to give us a proper welcome. 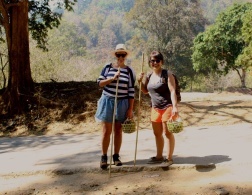 Patita told us about the area, the camp and what we were about to experience. Then we went on a game drive and later we had a lovely meal in the camp restaurant. As night fell and it was time to return to the cottage I found myself looking forward to it. Coming back the staff had prepared the room for the night – closed the curtains, put out fuzzy slippers and placed a hot water bottle under the covers to heat up the bed. Before surrendering to the much-needed sleep I spent a few minutes gazing out the window. The African skies were lit up by millions of stars and everything was quiet except for the occasional frog. I slept like a log in the middle of nowhere gathering new strength for the early morning game drive in one of the most beautiful spots of Tanzania. 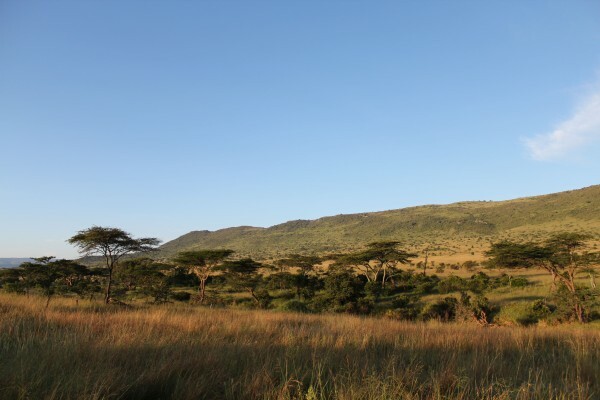 &Beyond Klein’s Camp is located within a 10.000-hectare (24.700 acre) wilderness wildlife concession leased from Maasai landlords. 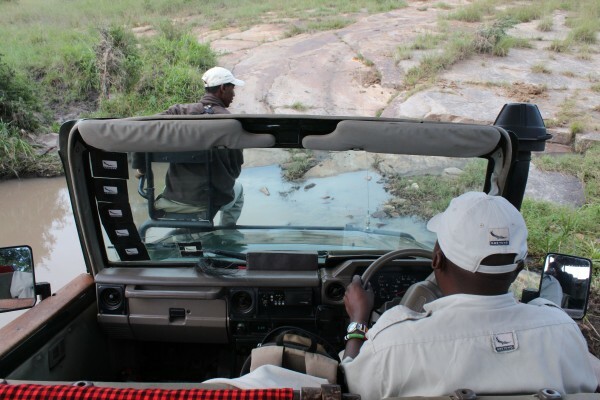 Being in an area outside the Serengeti National Park allows the rangers to take guests for night drives, walking safaris and to go off-road with the vehicles. 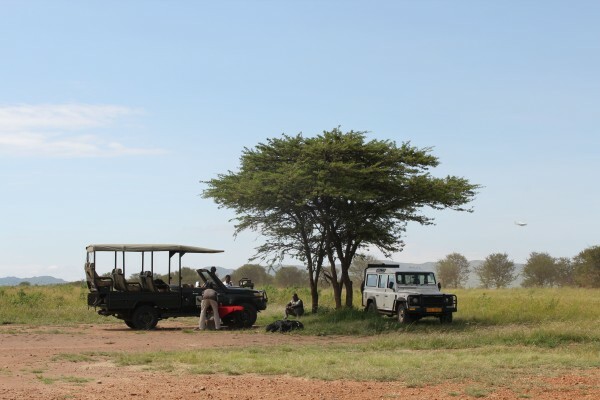 On the morning game drive we enjoyed a bush breakfast while sitting outside the car watching a big herd of buffalo. 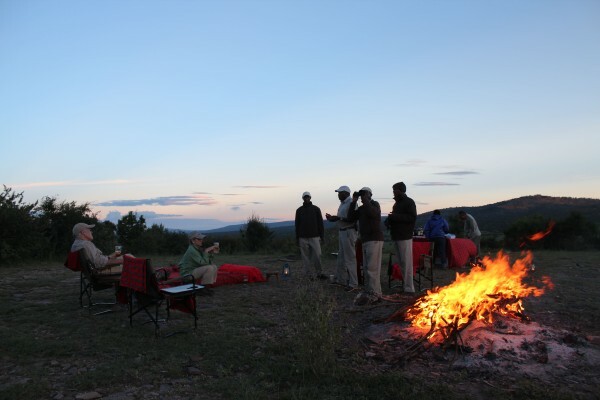 Later that same day we went walking with Patita and ended up on a hill where a few staff members were waiting with sundowners and snacks around a big bonfire. These experiences are not possible inside the Serengeti Park due to national park rules. But won’t all this disturb the animals and cause damage to the land? Well, I thought so too, but &Beyond takes their responsibility seriously. 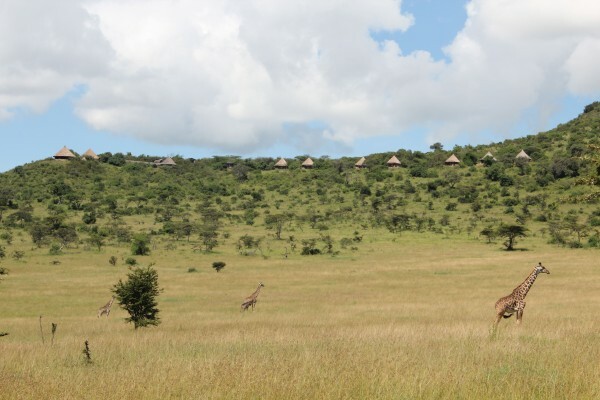 There are only ten cottages at the luxury lodge and a big part of the proceeds is earmarked for conservation of enormous areas of land that remain untouched. 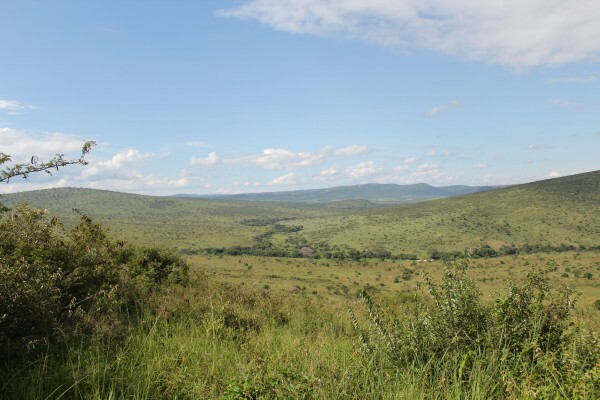 In addition to this, &Beyond works in close collaboration with the Maasai who own the land. 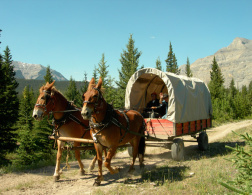 Many of the rangers and staff members come from the nearby village. The rangers know the area well, they know where to find the animals, but they also have a profound respect for the land and wish to conserve it for generations to come. 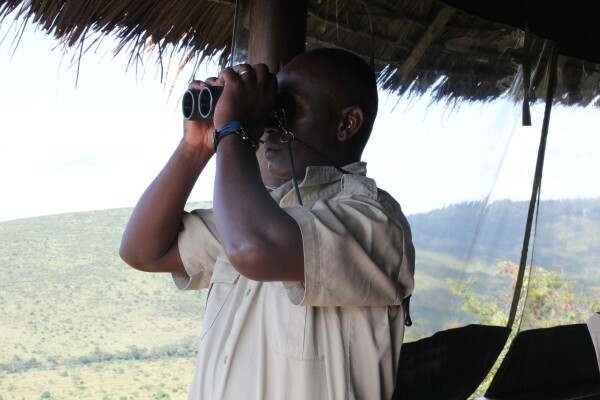 Being in the company of our Maasai ranger, Patita was incredible. He has been with &Beyond for 15 years and there was not a single question he couldn’t answer about the area, the animals or the camp. On the walking safari Patita spotted animal footprints and showed us which plants the Maasai use in their medicine. Coming around a corner he made us stop and hushed us to silence. Directly in front of us was a very tall giraffe bull that had been eyeing us as we came closer. We stood still, hearts beating, and admired the beautiful animal until it decided to leave. &Beyond Klein’s Camp is a luxury experience and every meal was prepared and served in an elegant fashion. There were always three courses and it was almost impossible for me to feel hungry at any time of my stay. The chef was skilled and came to the table before each meal to let us know what we were about to sink our teeth into. A delicate and small dessert concluded each meal and they were all delicious. The bar was well-stocked and open 24/7 with an array of local drinks, sodas and spirits. All you had to do was ask. As much as I enjoyed the meals served at the camp restaurant, I have to say that the morning meals we had in the bush were the most thrilling – because of the location. 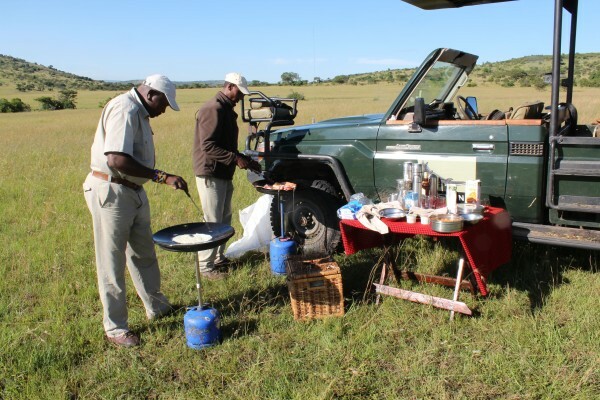 Imagine your ranger making you scrambled eggs while you watch a herd of buffalo or take pictures of the scenery. That was a unique experience. Along with the eggs, there were freshly baked muffins, cereal, sausages, yoghurt and sizzling hot coffee and tea. What a morning! And what a place. 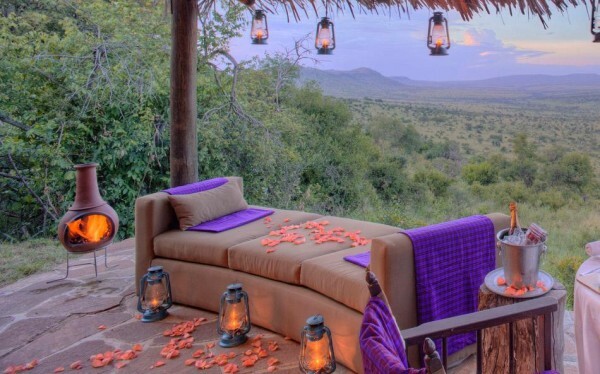 So, if you ever hear Serengeti calling, you now know how to treat yourself to a very special experience. Are you ready for the safari? This is a guest post by Lea Foustad Harbo. Lea is a Danish journalist and a woman with itchy feet. 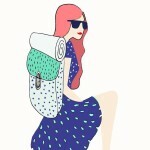 She likes to combine work and travel and discover the world one story at a time. 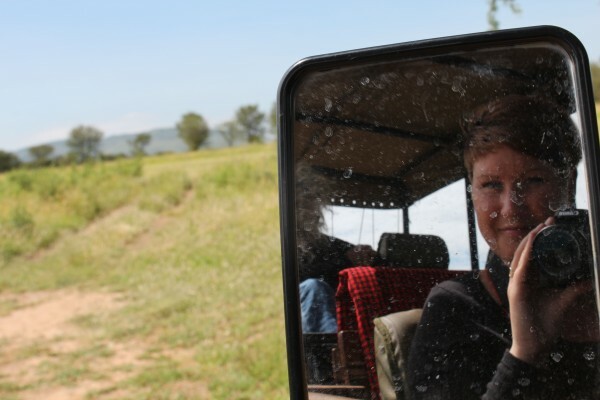 She has worked as a journalist in Africa and fell head over heels in love with the continent, its people and its wildlife. Her stories are published on her website. All photos by Lea and &Beyond.